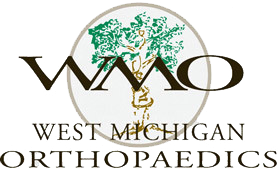 We specialize in providing patient-centered orthopedic care in a variety of areas. Our goal is to empower you with information so you can make an informed decision about your treatment. We encourage you to ask questions and be involved in your treatment process. Shoulder injuries can occur due to trauma, like a collision or fall, repetitive use, or degeneration due to age. Two common categories of shoulder injury include instability and tears. Instability refers to looseness of the “ball and socket” joint, known as the glenohumeral (GH) joint. The humeral head, or “ball” of the joint, may have too much motion toward the front, back, top or bottom of the glenoid, or socket. GH instability may be caused by an acute or chronic injury. There may be damage to the ligaments, labrum, rotator cuff or capsule surrounding the shoulder joint. Genetic diseases like Ehlers Danlos Syndrome and Marfan Syndrome are also known to cause instability. Instability results in pain and inflammation in the affected area, as well as a feeling of “looseness,” as though the joint may pop out of the socket. Weakness of the affected shoulder may also occur, in addition to a grinding or clicking sensation. Shoulder instability is diagnosed with a shoulder exam performed by your physician. An X-ray, CT scan or MRI may also be necessary depending on the cause of the instability. Treatment will depend on the cause of your shoulder instability. Physical therapy is used to strengthen the muscles surrounding the shoulder and provide greater support for the joint. 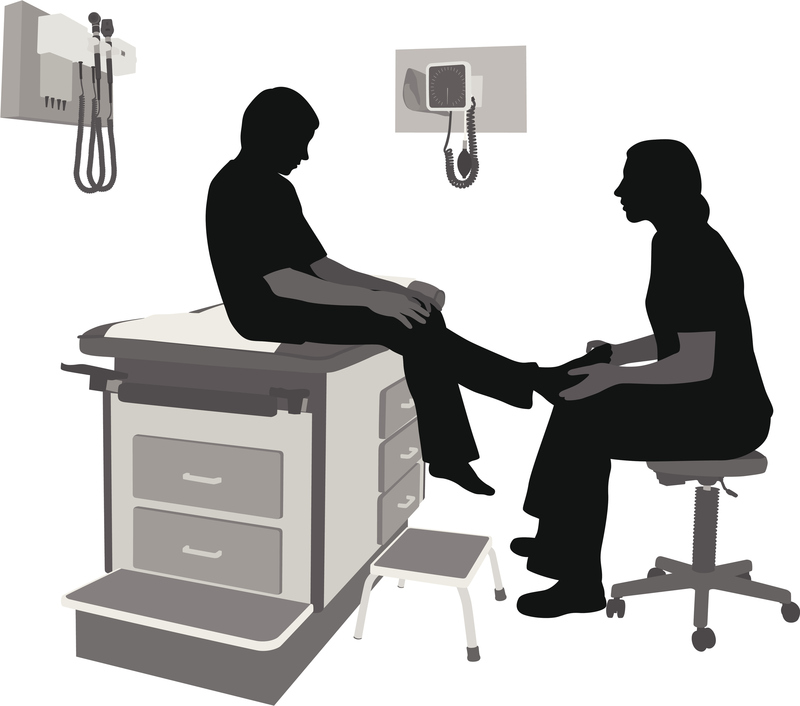 Patients who find physical therapy does not relieve their symptoms may require surgery. Arthroscopy is a minimally-invasive option to treat certain conditions, while an open incision may be necessary for other shoulder problems. The labrum is a soft piece of cartilage that cushions the shoulder joint. A tear can occur at any point of the socket and can be caused by acute injuries like shoulder dislocations, or chronic, repeated stresses to the joint. Athletes in certain sports like baseball or volleyball are susceptible to labrum injuries. Symptoms can vary based on the area in which the tissue is torn. Pain in the shoulder or bicep, weakness of the affected shoulder, or a clicking sensation can all occur depending on where and how the injury occurred. We can diagnose a labral tear through examination and an X-ray or MRI scan. Labral tears can be treated non-surgically or surgically depending on the patient’s situation and the severity of the injury. 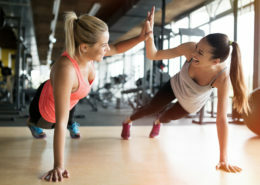 Non-athletes and older patients can do well with physical therapy, anti-inflammatory medications, cryotherapy, injections or activity modification. 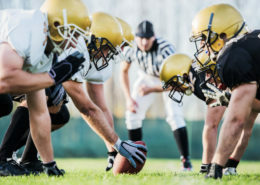 In athletes, or patients who do not respond to non-surgical methods, a minimally-invasive arthroscopy may be used to repair or reattach the affected tissue. The rotator cuff is a group of four muscles surrounding the shoulder joint. It is responsible for most of the shoulder joint’s movement. Rotator cuff tears can occur due to acute injury, impingement syndrome (if left untreated), repetitive overhead activities or degeneration in older populations. Rotator cuff tears can be painful, especially on the side of the shoulder and at night. Loss of motion or strength in specific planes of motion can also occur depending on the location and severity of the tear. A large tear may cause a patient to lose motion in the affected shoulder. Pain can also radiate up to the neck. We can diagnose a rotator cuff tear by examining your range of motion, pain level and amount of weakness in the shoulder. An X-ray or MRI may also be necessary. Small or partial tears of the rotator cuff can be treated non-surgically. 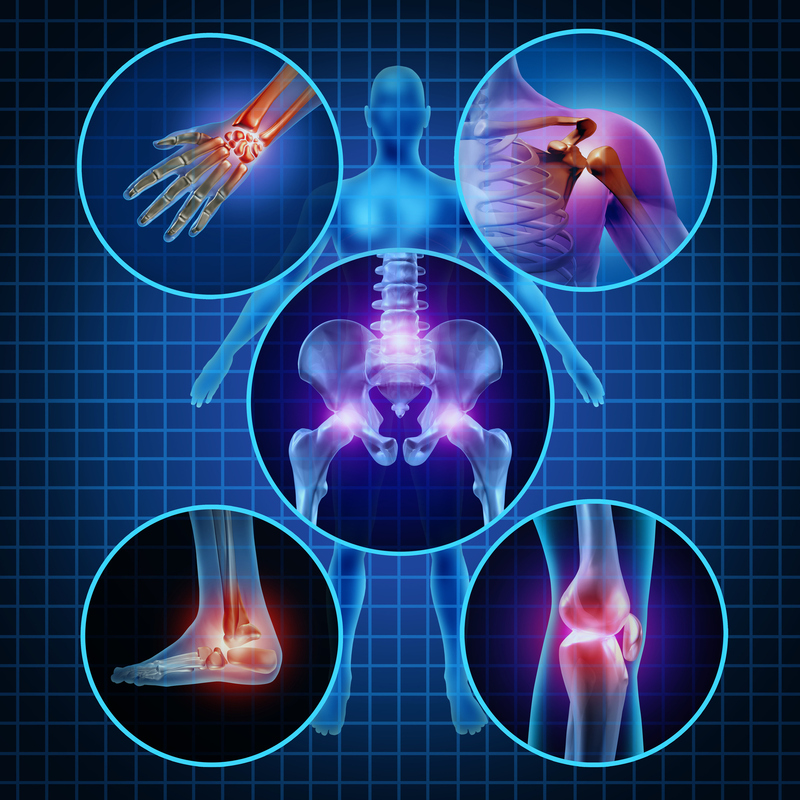 Physical therapy, anti-inflammatory medications, cryotherapy, injections or activity modification may be necessary. Patients who do not respond to non-surgical treatment can be treated surgically. Rotator cuff tears can be treated with a minimally-invasive arthroscopic procedure to repair partial tears, or reattach tendons that have detached from the bone. After surgery, a sling is used to allow the joint to heal. Physical therapy is also used to regain strength and flexibility. If repair of the soft tissue is not possible, your physician may recommend a reverse total shoulder replacement for pain relief and restoration of motion. A variety of injuries can occur in the workplace and not only those who work labor-intensive jobs are at risk. 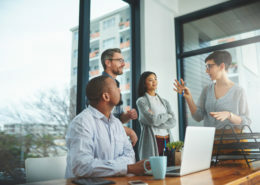 Many office jobs require sitting at a computer for an extended period of time. It is vital to use proper posture to reduce your risk of injury. An ideal workstation will allow you to work in a neutral position. Your chair should be the proper height so you don’t have to crane your neck to view your computer monitor, and should provide lumbar support. Your keyboard should be positioned so your forearms are nearly parallel to the floor, and your wrists are nearly straight. Your viewing screen should be roughly one arm’s length (20-26 inches) away and be at eye level. It is also important to take frequent rest breaks, stretching your neck, back, arms, shoulders and wrists. Dr. Patrick Zietz is experienced in dealing with work-related injuries. If you’ve been injured in the workplace or want to use worker’s compensation to pay for your treatment, contact us. This type of fracture involves the upper portion of the humerus, near the shoulder joint. The incidence of these fractures increases with age. The most common cause of this fracture is a fall onto the shoulder or arm. Proximal humerus fractures can be a sign of osteoporosis, a disease of progressive bone loss. It is important to be evaluated by your primary care physician for osteoporosis to potentially treat or prevent future fractures. Fortunately, because of the wide range of motion of the shoulder, the alignment of the fracture doesn’t have to be perfect. For this reason, surgery can usually be avoided for this type of fracture. Most fractures heal within 6-8 weeks, but full recovery can take 3-4 months. The radius is the bigger of the two bones in the wrist. Distal radius fractures are among the most common fractures across all age groups. The most common cause of this type of fracture is a fall onto an outstretched arm. There can sometimes be deformity if the fracture displaces. Surgery is usually avoidable if the alignment of the fracture is acceptable, or if it can be restored with manipulation. After the bones are properly aligned, a splint is placed on the arm. Usually the cast is removed after 6-8 weeks. Surgery is necessary if the fracture is poorly aligned or can’t be held in an acceptable position using a splint or cast. Fractures that heal in poor alignment can limit function of the arm and put you at risk for developing arthritis. The alignment of the bone is improved surgically and held in place with plates or screws. Most people can return to normal activities after a distal radius fracture, but each person responds to the injury differently. The most common problem after a distal radius fracture is stiffness of the wrist or fingers. Distal radius fractures can be a sign of osteoporosis, a disease of progressive bone loss. It is important to be evaluated by your primary care physician for osteoporosis to potentially treat or prevent future fractures. 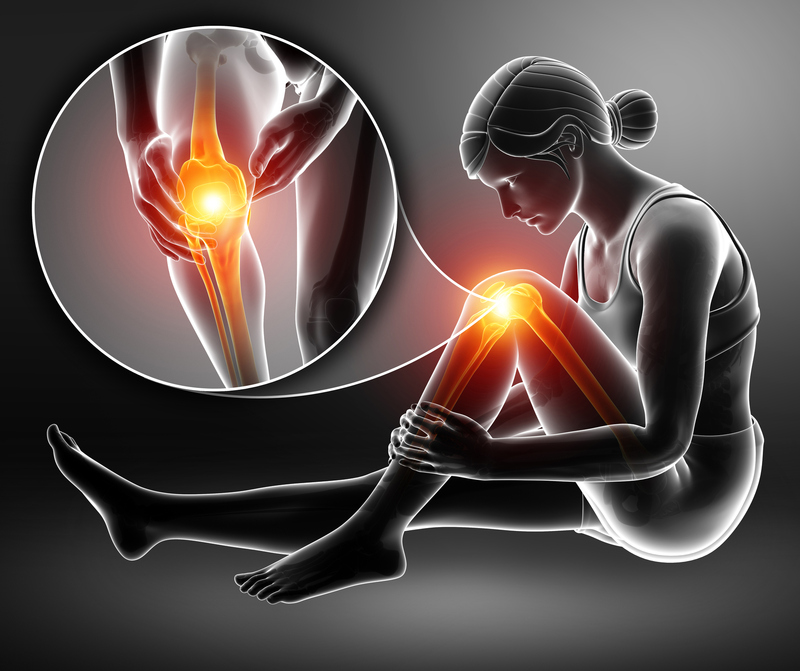 Arthroscopy is minimally invasive outpatient surgery that can sometimes help improve the mechanical symptoms from arthritis by removing torn cartilage (meniscal tears) or loose bodies (bone or cartilage) within the joint. Arthroscopy is less effective once the arthritis becomes more severe or bone on bone. Partial or total knee replacement surgery is an effective treatment for arthritis by replacing the damaged worn out parts of the joint. Most knee replacements last 20+ years but can fail sooner if complications occur or depending on the activity level of the patient. If a knee replacement fails, there are many revision procedures that can prolong the life of the implant. Some of these are simple and involve only replacing the plastic insert and others are complex and require replacement of the entire knee. Hip arthroscopy is a minimally invasive procedure that allows doctors to view the hip joint without making a large incision. This procedure can treat pain caused by labral tears, cartilage injuries as well as hip flexor tightness and inflammation, which are common among athletes participating in soccer, ballet, gymnastics, hockey and running. “Arthro” means having to do with a joint and “scopy” refers to being viewed through a scope. An arthroscopy repair is the least invasion form of surgery. A hip arthroscopy procedure begins with two small incisions around the hip joint. Then, the arthroscope is inserted in one incision and slim surgical tools are inserted through other. The camera helps guide the surgical tools to make the necessary repairs. The entire procedure takes one to two hours to perform and patients can go home a few hours post-surgery instead of being admitted to a hospital for up to three days, which his common after a traditional hip surgery. Hip arthroscopy may be recommended if your condition does not respond to nonsurgical treatment like rest, physical therapy or injections. Faster recovery timeWhile recovery and rehabilitation does take time, a hip arthroscopy procedure usually allows you to return to your daily activities and living life to its fullest potential in approximately four to six weeks. Labral tear: The labrum is cartilage ring that functions like a gasket for the hip. Damage or tearing of the labrum causes pain, particularly with activity, especially hip flexion activities. The labrum often requires surgical repair if torn. Snapping hip: Tendons that cross the front of the hip (psoas tendon), or side of the hip (IT Band) can cause painful snapping. Sometimes surgical release is needed to treat the snapping. Impingement: Having a shape mismatch between the ball and socket parts of the hip results in impingement, that damages the cartilage and causes pain. This requires reshaping of the areas that are causing the conflict. This reshaping can often be performed arthroscopically. Loose bodies: Cartilage, or bony, loose bodies can sometimes get lodged into the hip joint causing mechanical symptoms such as locking or giving way. Removing these loose bodies requires surgical distraction of the joint, which can be performed arthroscopically. For more information on hip arthroscopy, consult our Hip Arthroscopy Handbook written by Dr. Carl Wierks click the link below. Sports injuries can either be due to overuse or an acute injury. 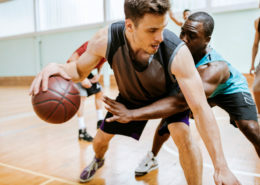 Overuse injuries typically occur when someone tries to do too much too soon. For example, a runner who attempts a “couch to 5K” may sustain an overuse injury to their knee, hip or ankle. This is due to the soft tissue around the joints not being accustomed to the sudden increase in stress. An extension of an overuse injury is a stress fracture of the bone. A stress fracture is when the internal architecture of the bone breaks down because the bone is not strong enough to support the required demand or is not given enough time to heal in between exercises. Stress fractures commonly occur in the shinbone, hip or one of the bones in the feet. They are a result often caused by running too much and can occur in any sport. Young females are at particular risk for stress fractures. Acute injuries are also common sports injuries and can either be from a contact with the ground or another athlete, or a non-contact injury. A common example of a non-contact injury is an ACL tear of the knee, where an athlete is pivoting on the knee to quickly change directions, and the knee gives out. An ACL tear results in immediate knee swelling and instability. In contrast, contact injuries are specific to the joint that hits the ground or another player. A common ground contact injury is a shoulder or hip dislocation. Pain with activity, or even just walking, is the most common symptom of an overuse injury. The pain is localized to the area of the soft tissue or bony injury. It is most severe during the activity, for example running, and subsides, but may not completely resolve, at rest. Initial treatments include rest from exercise and over the counter anti-inflammatory pain medication. If symptoms do not improve with two weeks of rest and pain medication, medical evaluation is recommended. This may include X-rays of the affected area, to make sure there is not a fracture of the bone. In general, soft tissue overuse injuries are managed without surgery and heal on their own over time. Stress fractures may also heal on their own but typically require crutches to unload the fracture so the bone can heal. Acute injuries are caused by high energy contact or twisting injury. Pain and swelling are often immediate and may prevent weight bearing or use of the involved limb. 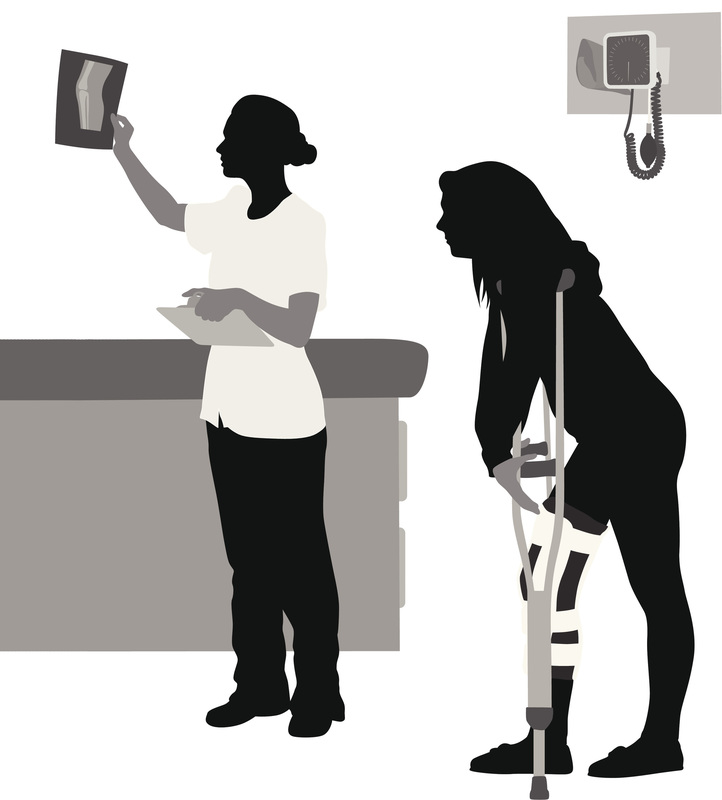 Acute injuries need to be medically evaluated immediately to make sure there is not a broken bone or dislocated joint. Joint dislocations present an obvious deformity, and inability to move the joint. Shoulder dislocations often can be reduced, or put back into place, on the field, if they don’t reduce on their own. Hip dislocations, however, need to be reduced at a hospital. Joint dislocations are serious injuries that require orthopedic care to monitor the future stability of the joint and the health of the joint cartilage that can be injured at the time of the dislocation. 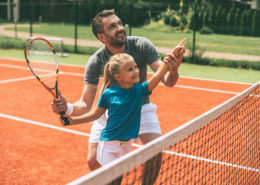 With any injury, acute or chronic, if you are unsure if your pain is “normal” or not, it is wise to have it evaluated by a medical professional in order to optimize diagnosis, treatment, and ultimately, return to sport. Total joint replacement surgery is recommended for patients who do not find relief from more conservative measures like medication or therapy. After a total joint replacement, you can expect relief of joint pain, improvement of a limp or deformity, improved range of motion and increased capacity for physical activity. Many patients now undergo total joint replacement surgery at outpatient surgical facilities. If you are not a candidate for an outpatient facility, your operation will be scheduled at Spectrum Health’s Center for Joint Replacement at Blodgett Hospital where your hospital stay will be 1-3 days. You can expect to walk with a walker on the day of surgery. Physical and occupational therapists will work closely with you to develop a rehabilitation program to speed your recovery. Within 1-2 weeks, you can expect independent mobility. For most patients, a total joint replacement will last 20+ years. Research has shown that education contributes to better outcomes and less anxiety about a surgery. We will recommend you attend the Total Joint Education class prior to your surgery. 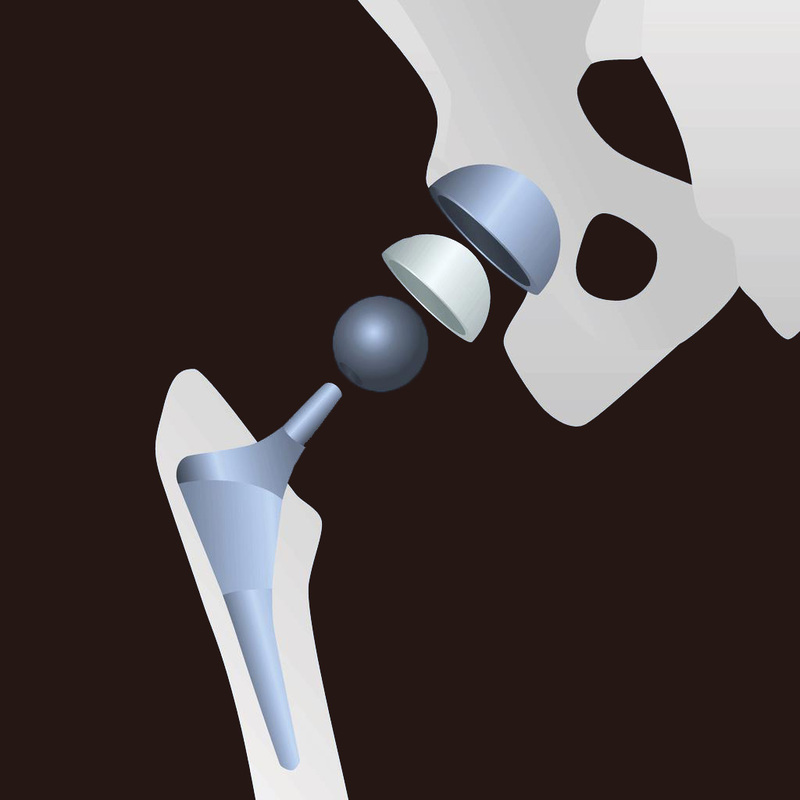 This class will review all aspects of the joint replacement operation from scheduling to recovery. During primary total hip replacement surgery, the hip joint is replaced with an implant or prosthesis made of metal, plastic, and/or ceramic components. (Source: OrthoInfo.org). Hip replacement patients are typically fully weight bearing starting the day of surgery. Some patients are candidates for outpatient surgery, while others will stay in the hospital for one or two nights. Depending on the patient, a full recovery takes three to six months. Return to normal daily activities, with minimal discomfort, can often be achieved within two to three weeks. Dr. Karl Roberts and Dr. Carl Wierks perform total hip replacement surgeries, which can be performed using a posterior (rear) or anterior (front) approach. Dr. Roberts prefers using the posterior approach for hip replacements while Dr. Wierks uses the anterior approach. A knee replacement might be more accurately termed a knee “resurfacing” because only the surface of the bones is actually replaced. There are four basic steps to a knee replacement procedure. Knee replacement patients may be candidates for outpatient surgery. 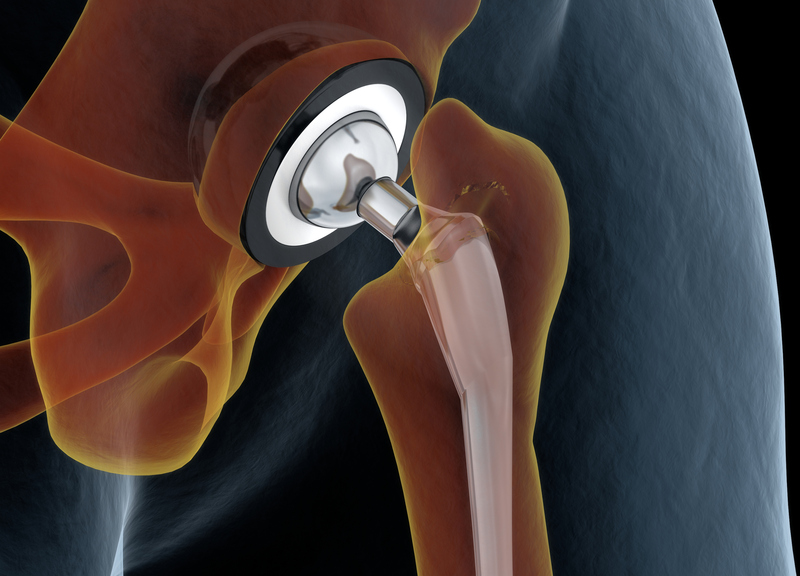 Typically, knee replacement patients are able to experience full weight bearing immediately after surgery. Dr. Patrick Zietz and Dr. Karl Roberts perform total knee replacement surgeries. Although most joint replacement procedures are successful, problems can occur over time. A revision procedure is performed to replace the original components or correct undesirable scars or scar tissue from a previous surgery.